Taking care of a child with autism is no easy feat. As the adage states, it requires a village to properly rear a child with this condition without sacrificing other aspects of your life. As much as possible, parents want to shield their child from all the cruelty of the world because they know for a fact how harsh it can be; that is why parents with autistic child find choosing the perfect school is quite difficult. There are many factors and alternative options that need to be taken into consideration when choosing a school for your child. Since autism spectrum disorder refers to a group of disorder with varying symptoms and difference in levels of severity. There is no one size fits all solution when it comes to teaching and school, therefore; choosing the best school is a unique process for each child. It is best to observe school grounds and see for yourself the general aura and environment of the school. The primary people who will supervise your child are the school’s faculty members apart from their classmates; therefore, it is vital to pick a school that understands Autism Spectrum Disorder as well as its gifts and challenges of these children. It is easy to be impressed with facilities, structure and the technological options available in the school but doesn’t forget to have a thorough meeting with the teachers and principal before making the critical decision. Give a significant weight to the training and the overall attitude of the staff towards autism. A principal who is emphatic of the plight of children with autism will most likely put in processes and policies that will be beneficial for the child. Don’t settle for one school; visit all schools if possible. Also, opt for more than one school visit. It will provide you a better picture of the overall interaction between teacher-student, skills and teaching methods utilized by the staff as well as how the social interaction between students are building and settled. Maybe, you know someone who also enrolled her child in that school. Ask their honest opinion and feedback about the school. 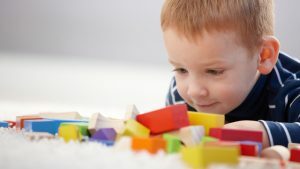 Ideally, as much as possible, parents want their child to be admitted in a mainstream class to promote social interaction with a different age range of students; however, many children on the autism spectrum are unable to communicate verbally. Most of the time, they will require special education facilities that accommodate small classes under the tutelage of a teacher with specialized training in a secure environment at the same time, provide a variety of teaching methods and cater to the needs of the children with ASD. Often, children with special needs feel a sense of belongingness and less “different” in this type of school which leads to an overall positive learning experience. Mainstream schools, on the other hand, is not necessarily inferior compared a specialized school; in fact, it is quite beneficial for high functioning cases of autism since they have specific classes for students with special needs, but at the same time, they have diverse areas of study to choose from especially for those who have the central area of interest like engineering, math or robotics. 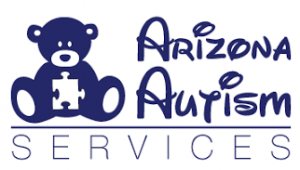 Many children with autism spectrum disorder thrive in this community if they get all the support possible or even enrolling in additional services at school or outside schools such as language therapy, speech, and counseling.